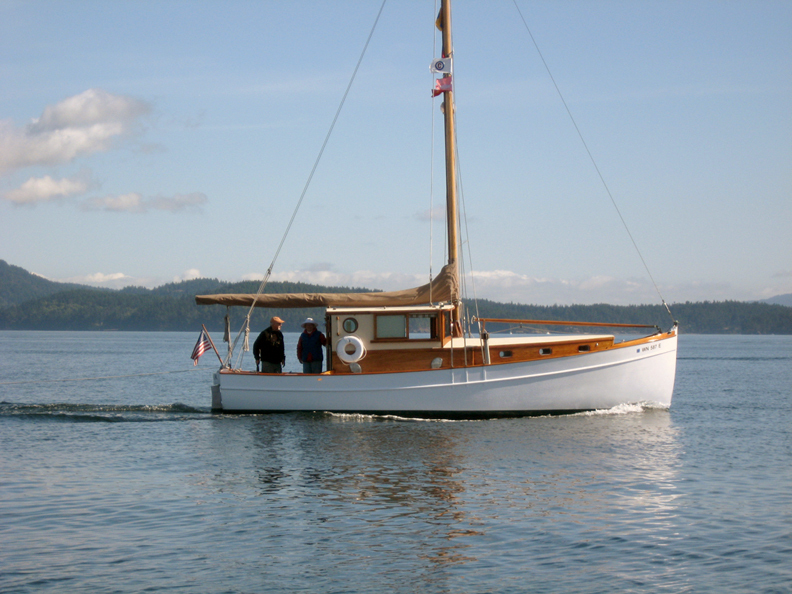 WANDER is our eighty-year old wooden classic, designed by John G. Alden on the East Coast. She began life as a sloop-rigged, open-cockpit sailboat, one of only two from the original plans. 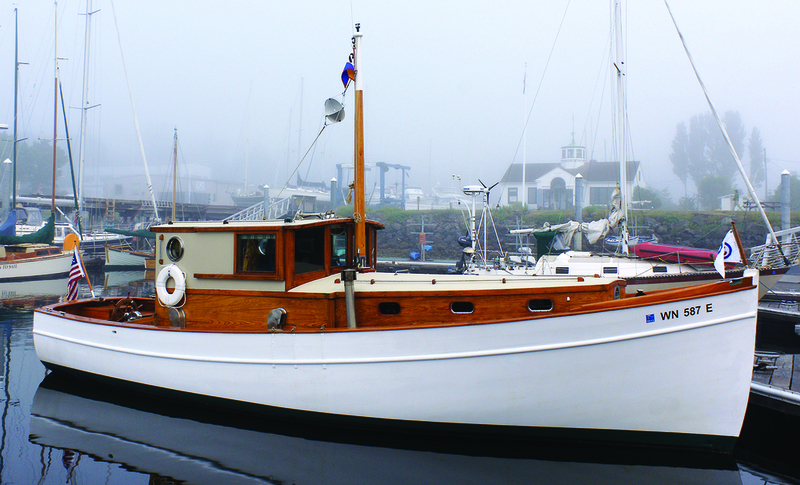 She was built in 1933 at Todd Dry Dock's Seattle yard for C.W. 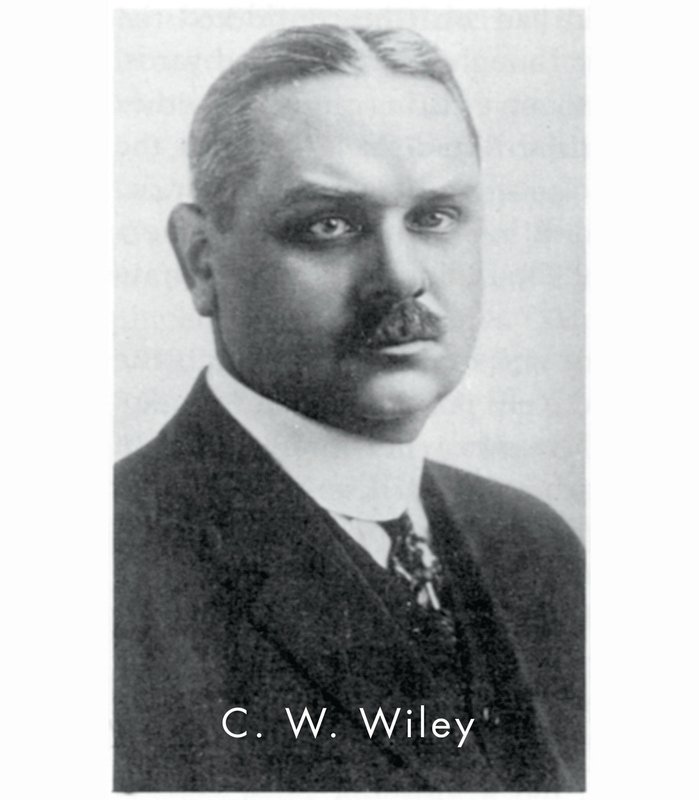 Wiley, president of the company at the time. There was no official registration or vessel documentation. Consequently, after Wiley's untimely death in 1935 there was a twenty-five year gap in the history of her ownership. 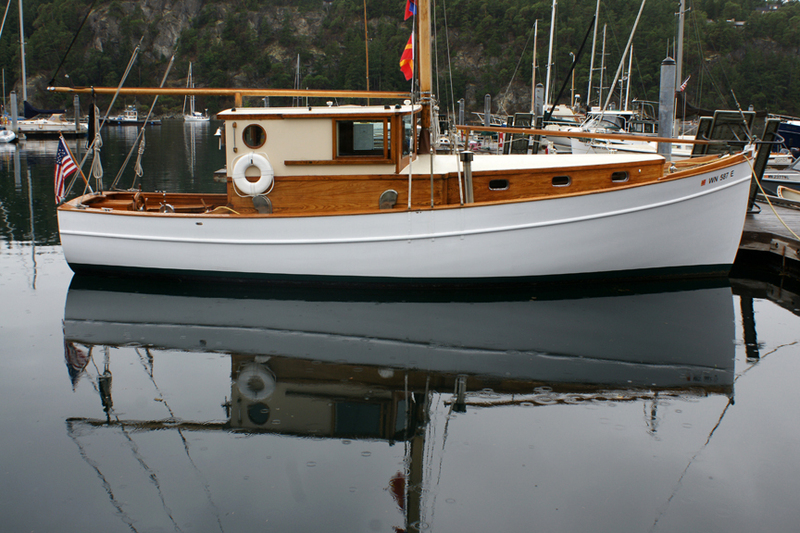 In the early sixties a subsequent owner (a Boeing machinist) converted her to a motorsailer by adding a pilothouse and making the conversion from tiller steering to dual-station wheel steering. MASKEE (her original name) would pass through two more sets of hands until we found and purchased her in January, 2007 at Jim Clark Marina on the Duwamish River in Seattle. After several years of cruising and a new engine (don't ask), in 2011 we removed the keel-stepped mast and shortened it. 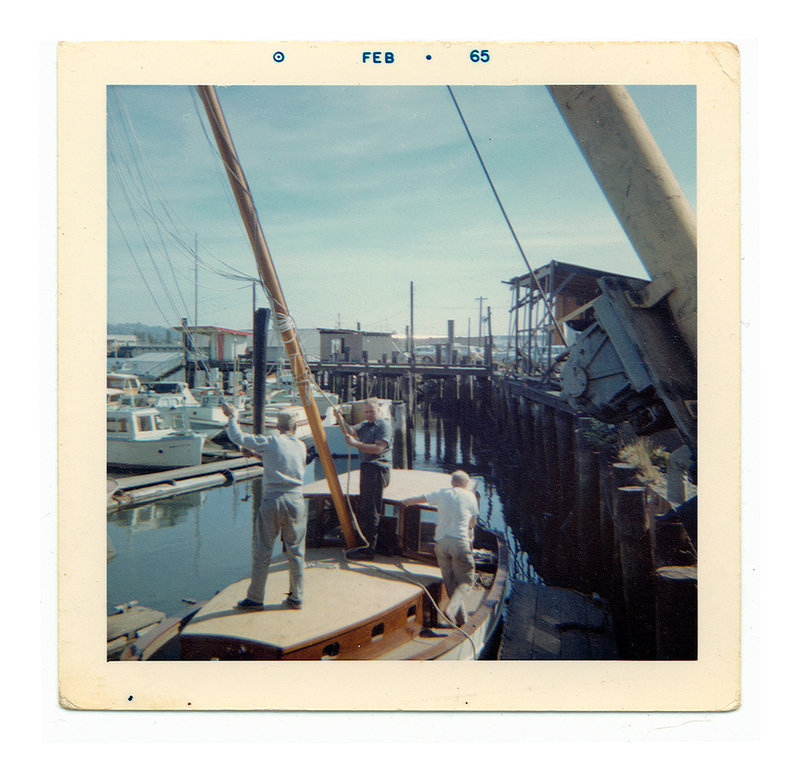 I designed and had a hinge built so the mast could fold down and stow on deck. 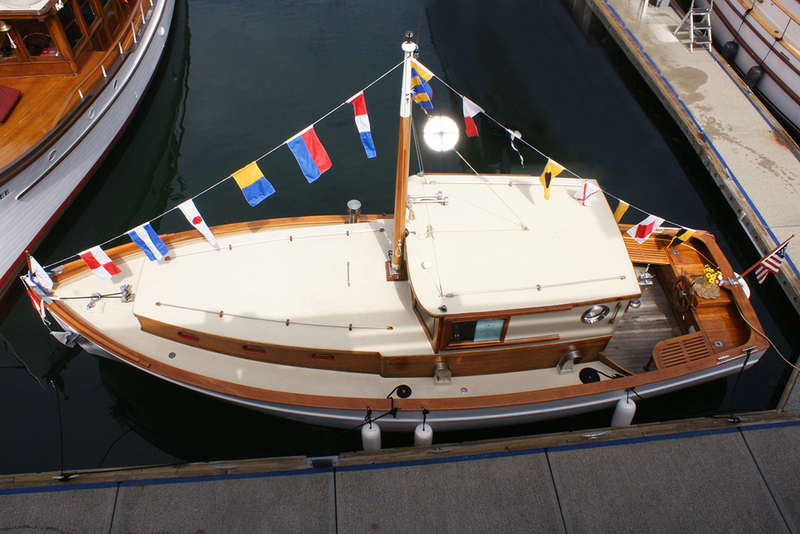 It allows us to keep her in covered moorage and out of the harsh elements. This configuration works very well for the two of us and will also help to preserve her for many more years to come. Scroll down for slide show.